Alarm was set for 8:30,but after some snoozing, we got up about 9:15 and got ready. 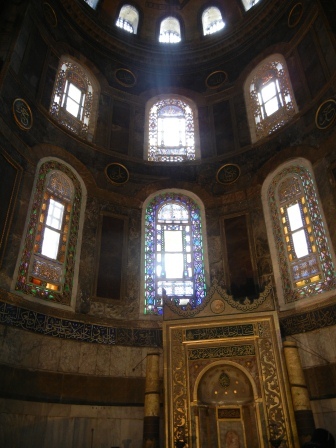 After the hotel breakfast we took a taxi to the Aya Sofia (aka Hagia Sofia). 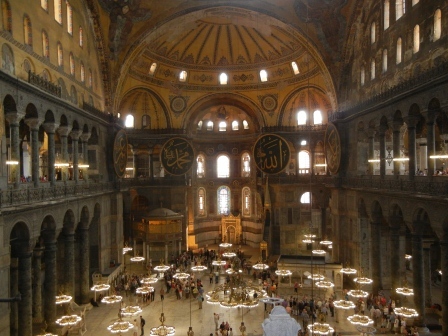 The Hagia Sofia was indicative of Istanbul, it could never decide to be secular, Christian or Muslim as is indicated by its current state as a museum, originally built as a cathedral and converted to a Mosque. It is also indicative of the different types of people and clothing of those who visit. Everything from tank tops and shorts to women fully covered including colorful headscarves to full abayas with only eyes showing. The well worn stone at the entry shows how long this has been used. 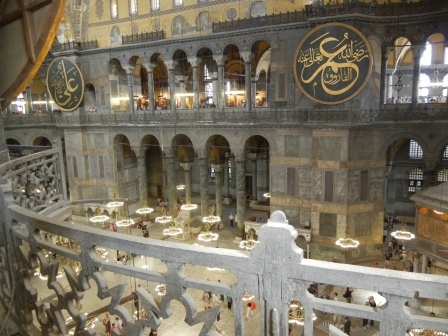 It is amazing to think the original foundations were built in 500 AD. Stained glass and Muslim "pulpit"
The stained glass in the front and what is effectively the pulpit muzzein is another example of this contrast. 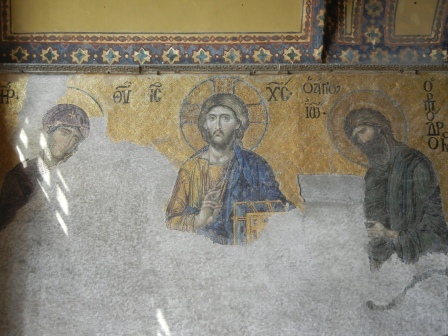 Some might wonder why the pictures of John the Baptist, Christ and the Madonna in the next picture weren’t removed. Many Christians may not know, but there are stories of Jesus and John the Baptist in the Koran. And although traditionally Mosques do not have any images of people so as to not promote idolatry or worshiping of idols these seem to have been kept and preserved. The next few pictures are just of the amazing interior. Many of the things that you see are mosaics even though they all blend together, the stonework, paintings were absolutely stunning. 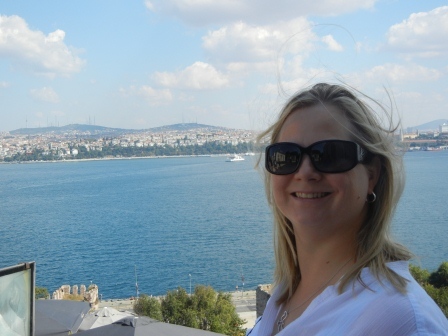 Next stop was into the fountains in between the Hagia Sophia and the Blue Mosque. After waiting in the courtyard a while until the prayers were over, we decided that we would take some picture of the outside and then head over to Tokapi Palace. The guide book says that Tokapi Palace is the “most famous” attraction in Istanbul, ?huh? I hadn’t even heard of it until I started reading about it in the guidebooks. Tokapi Palace was nice but very crowded, the treasury rooms and many other rooms did not allow you to take pictures, and by the end I finally got the warning that my Battery was “Exhausted”. The views from the 3rd Courtyard were absolutely gorgeous and the blue tile work on the turban room was one of my favorite places so far. We toured through a number of other spaces before heading to the park to rest a minute and look at the guidebooks to see the next steps. We decided that we were ready for the Grand Bazaar, on the way we had a wonderful ice cream pick-me-up and then walked into the massive bazaar! I felt a little prepared for this having been in the Gold Souk in Dubai, but I think that is probably one of the only things that prepares you for the craziness that is the Grand Bazaar. Leather, fake purses, tiles, plates, pashiminas, jewelry and carpets were everywhere and anywhere you looked. After we did some shopping around and got some easily packable souvenirs then went to find some tea. We found a little shop where we got some sandwiches and tea. My apple tea tasted like Green Apple Jolly Rancher in a glass, so was a very overwhelming flavor. Since we are eating “like old people” at 5:15 PM, we decided to make our way back to the fountains between Hagia Sophia and the Blue Mosque to watch the sunset and get some pictures of these monuments lit up at night. Now, I am charging the camera and I sent Earl to the sports bar where there might be college football and I know there was free wi-fi. For this fancy Park Hyatt hotel room, the wi-fi only supports one person per room. Major fail from this hotel, but hey it has a doorbell and a steam room. 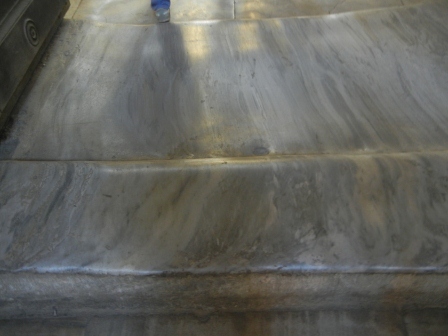 The Pakistani guy I work with (Farooque) knew all about the Hagia Sofia even though he has never been there. He knew about the Christian portion, but didn’t know the answer to my question “Is Galat where the Galatians are from?” Who knows the answer? Loving keeping up with you guys during the trip. thanks and keep it up.